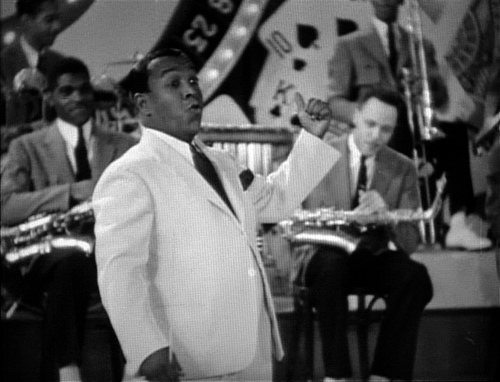 ← BELATED HAPPY 80th ANNIVERSARY BENNY GOODMAN & FRIENDS AT CARNEGIE HALL, January 16, 1938! … but not only was it the initial instrumental jazz version of George Gershwin’s I Got Rhythm, it was the very first big band chart at all, sporting three trombones instead of the then common two. The brilliant, super-modern trombone solo is blown by Benny Morton, it’s either Rupert Cole or Red Inge on clarinet (who said that only Artie Shaw was able to play glissandi? ), Robert Carroll can be heard on tenorsax, and the forgotten Bob Ysaguirre does the slap-happy & utterly virtuoso bass pluckin’, in exchange with the three trombones of Benny Morton, Claude Jones and Fred Robinson who got prominently featured. Although he does not solo, it should be mentioned that Fletcher’s brother Horace Henderson plays piano, alongside Manzie Johnson on drums. 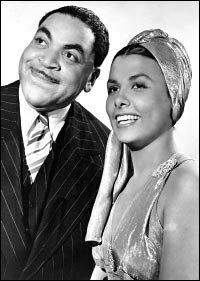 By the way, Don Redman’s exquisite chart was played during the same broadcast as Ivie Anderson’s & Duke Ellington’s “All God’s Chillun Got Rhythm” from my recent article. Since I’ve lost the cassette tape with the broadcast from 1979, I can only wildly presume here, but I guess that Mr. Burkhardt filled the 30 minutes from 7:30 p.m. to 8 p.m. with various early renditions of “I Got Rhythm”. Now, before I play the track for you, dear readers, it’s Mr. Gershwin himself who has the very first word: I GOT RHYTHM (with explanations by the composer). 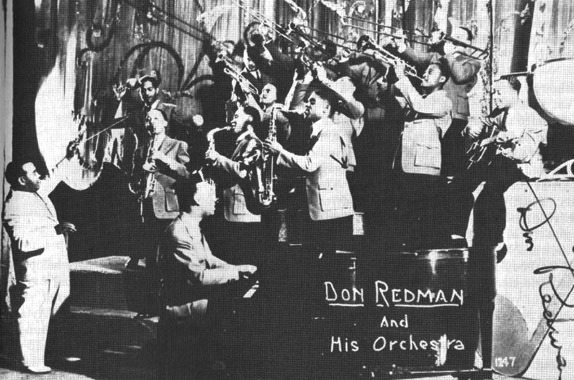 And here comes Don Redman & His Orchestra with I GOT RHYTHM, as recorded in NYC, on June 30, 1932. 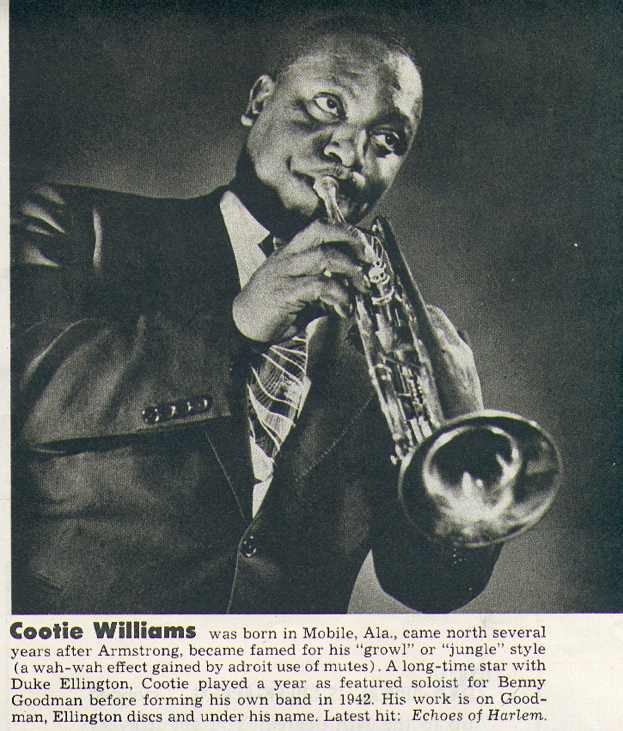 This entry was posted in Etymology, George Gershwin, Jazz Stories & Tales, Invented Truths & Actual Happenings, Jive, Saxophone, Swing Era and tagged big band, great american songbook, great solo, jazz, living jazz history, private tape, standard, up tempo. Bookmark the permalink. Thanks for letting me know, Brew. 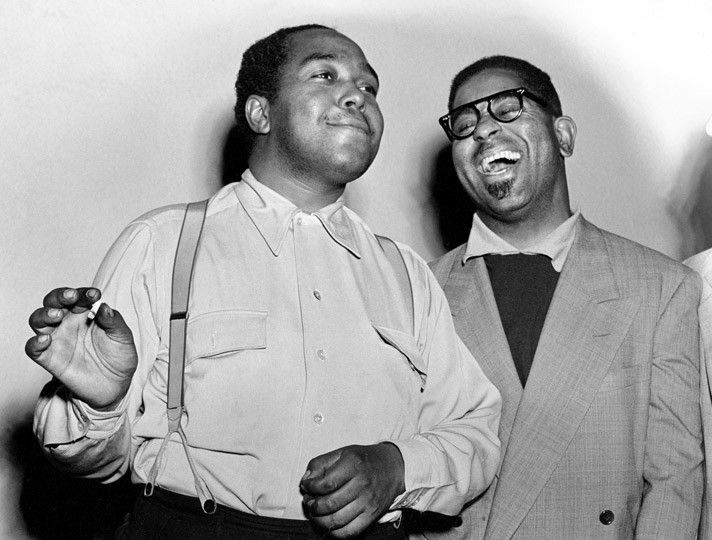 Those swinging sounds of the early black big bands are invaluable. Thanks for digging up this wonderful chart which inspired Glenn Miller’s own arrangement of “I Got Rhythm” in 1937. Cheers! Thanks for another lesson in jazz history. A truly remarkable recording.